Venita Terry has been with Ypsilanti Community Utilities Authority since 2003. In her role, as Assistant Finance Director, she manages the Finance and Customer Service departments that are responsible for the treasury, accounting, utility billing, and customer service functions. In addition to her current finance position, she enjoys assisting clients with real estate transactions. She earned her Bachelor of Business Administration in Finance from Cleary University and a Master of Public Administration in Public Management from Central Michigan University. She is a Certified Public Funds Investment Manager, and is a licensed State of Michigan realtor. She is currently a member of the Michigan Government Finance Officers Association, Michigan Municipal Treasurers Association, and Greater Metropolitan Association of Realtors. Venita joined the Michigan Women in Finance board in 2014. Glenna M. MacDonald, CPA, CFO, joined Howell Public Schools in December, 2014, as the Director of Finance. Prior to that, she served as the Supervisor of Finance at Huron Valley School District for six years and the Director of Accounting for Brighton Area Schools for ten years. Ms. MacDonald’s experience also includes 10 years public accounting experience with Arthur Young, Ernst & Young and Post, Smythe, Lutz and Ziel. In addition, she has five years finance experience in non-profit entities with the Michigan Metro Girl Scouts and Huron Services for Youth. Ms. MacDonald is a member of Central Michigan School Business Officials, Michigan School Business Officials and is a Past-Chairperson of the Michigan School Business Officials Finance Committee. She has also served on the Board of Michigan Class, a local government investment pool, since 2008. Ms. MacDonald received her Bachelor of Science, Major in Accounting, from Northern Michigan University and is a certified public accountant. Glenna has served on the Board of Michigan Women in Finance since 2015. Jane Saurman is the former Chief Financial Officer for the Kent District Library in greater Kent County, Michigan. She began her career 30 years ago as the elected Treasurer for the City of Kentwood. She comes to KDL from Hungerford Nichols CPAs and Advisors where she was the Senior Governmental Consultant with 25 years of experience, specializing in auditing and consulting services for governmental units, primarily school districts and municipalities. She has a Bachelor of Science degree in Business Administration from Lake Superior State University, and she is a member of several associations, including the Michigan Library Association, American Library Association, Government Finance Officers Association, Michigan Government Financial Officers Association, Michigan Municipal Treasurers Association, and Kent County Treasurers Association. Jane joined Michigan Women in Finance Board in 2015. Assistant Vice President, Public Finance – Robert W. Baird & Co.
Alyson Hayden has been with Robert W. Baird & Co. since 2013. Since joining Baird, Alyson has been responsible for providing banking and analytical support on various state and local level transactions. Alyson received her Bachelor of Arts in Finance from the Eli Broad College of Business as well as a minor in economics from Michigan State University. She is also licensed through the Financial Industry Regulatory Authority (FINRA) as a Municipal Securities Representative (Series 52) and as a Municipal Advisor Representative (Series 50). Alyson joined the Michigan Women in Finance Board in 2015. Kristin N. Angel serves as Regional Director of Marketing for Public Trust Advisors, LLC; serving public agencies in Michigan and representing the Michigan Cooperative Liquid Assets Securities System (Michigan CLASS) local government investment pool. Previously, she served as Business Development Manager for Lansing Community College. Kristin received her Bachelor of Science Degree in Business Administration from Central Michigan University, with a major in Marketing and minors in Management and Communications. She received her Master of Management Degree from Davenport University. Kristin is actively involved with numerous organizations including; the Michigan Government Finance Officers Association, the Michigan Association of County Treasurers, the Michigan Municipal Treasurers Association, the Michigan School Business Officials, and the Michigan Women in Finance. She has participated on a number of executive boards including; the American Council on Education Michigan Women’s Network, Diversity Lansing, and the Michigan State University WKAR Advisory Council. 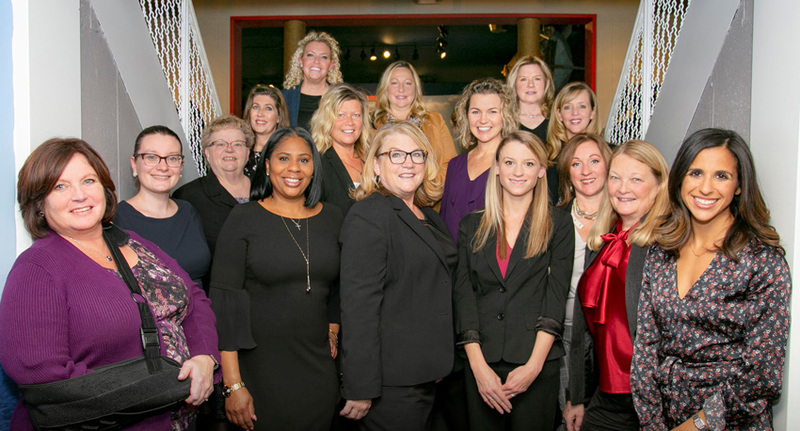 Kristin joined the Michigan Women in Finance Board in 2018. Katrina Desmond is an attorney at Miller Canfield in Detroit. She is one of a very small number of attorneys nationwide who work extensively in the area of law dealing with Internal Revenue Code Section 103, specializing in the rules relating to the issuance and post-issuance compliance for tax-advantaged bonds. Katrina has extensive experience in matters related to federal tax opinions on tax-exempt bonds, financing capital projects and infrastructure improvements, economic development and environmental response projects, government and regulatory affairs, health care and housing, including tax structuring for New Market Tax Credit financings, and other public private partnership transactions. She is a graduate of the University of Michigan Law School and the University of Notre Dame with a degree in Accountancy. Katrina is also a Certified Public Accountant. Katrina joined the Michigan Women in Finance Board in 2017. Stephanie Griffin joined the Chemical Bank Municipal Banking team with almost 25 years of banking experience. Stephanie manages a large portfolio of municipal and school district relationships on the West side of the State of Michigan. Previously, she was a Sales Advisor of Treasury Management and Municipal Banking with Chemical Bank. Prior to that, she was with Talmer Bank as Associate Managing Director of Public Funds, Flagstar Bank and First Merit Bank as Banking Center Manager where she was responsible for overseeing all aspects of retail banking. She received a Bachelor of Business Administration in Marketing and Management from Northwood University. She is active in the community and has worked with numerous organizations including the Grand Rapids Boys and Girls Club and Junior Achievement. Stephanie joined the Michigan Women in Finance Board in 2018. Janice Hursey-Anderson is the Deputy Director with the Student Scholarships and Grants Division, overseeing the State student aid programs. She has been employed with the State of Michigan since 2006 and has worked with the Michigan Department of Treasury since 2014. Previously, she was the Collections Manager of the Student Loans Repayment Division, overseeing the daily operations of the call center staff collecting on defaulted student loans. Janice previously served as the Economic Manager with the Department of Technology, Management and Budget’s – Labor Market Information & Strategic Initiatives Bureau. She received a Bachelor of Business Administration Degree and a Master’s Degree in Strategic Management, both from Davenport University. Janice joined the Michigan Women in Finance Board in 2017. Annette Jones has worked in the Michigan public finance industry since 1988. She joined the Michigan Public Finance Office of Stifel in July 2008, after serving as Associate and Support Banker for Wachovia/A.G. Edwards. Annette has extensive experience working directly with municipal issuers; researching, preparing and marketing various offering documents for municipal sales. In the past 29 years, Annette has worked on over 650 Michigan transactions totaling more than $26 billion. Annette is a Registered Securities Representative (Series 52 and 63) of FINRA. Annette previously served on the Michigan Women in Finance Board from 2012 through 2015 and has rejoined the Michigan Women in Finance Board in 2017. Toni Koss is Managing Director at CIBC Bank USA, responsible for leading the Municipal Funds team. Toni joined the bank in 2008 and is charged with bringing depository solutions to public clients across the state. Prior to joining CIBC Bank USA, Toni served at Standard Federal Bank where she held various positions servicing public funds and commercial clients. Toni is an associate board member of the Wayne County Treasurers Association and a member of several local treasurer associations, including the Michigan Association of County Treasurers, Michigan Government Financial Officers Association and Michigan Municipal Treasurers Association. Toni joined the Michigan Women in Finance Board in 2014. Michelle Lewis has over 12 years of experience in public accounting. Michelle is licensed to practice as a certified public accountant in Michigan. She works as part of the firm’s audit practice, serving local governmental units and retail auto dealer clients in both an assurance and tax capacity. Her recent experience beyond job organization and management, training and supervision of staff, and communication with clients includes: management of compliance audits of federally funded programs, financial forecasting and developing strategic plans for multi-year budgeting and rate setting, and general business consulting. Michelle is a member of the firm’s professional standards team and one of the leaders in the firm’s Women in Leadership program. Michelle is a member of the American Institute of Certified Public Accountants and joined the Michigan Women in Finance Board in 2018. Natalie Neph serves as the Investment Administrator for Oakland County, Michigan. In that role, Natalie manages the short term operating portfolio and banking relationships for Oakland County. Natalie has over 20 years’ experience in the governmental finance field. She earned her Bachelor of Science and Masters in Public Administration from Central Michigan University. She has also been named an Advanced Certified Public Funds Manager by the Association of Public Treasurers of the United States and Canada. She is an active member of the Michigan Government Finance Officers’ Association (MGFOA), serving on the Accounting Standards and Legislative Committees, as well as the Association of Public Treasurers (APT) and the Oakland County Treasurers’ Association (OCTA). Natalie was named one of Michigan Women in Finance honorary chairs and joined the Michigan Women in Finance Board in 2018. Lisa has been in banking over 20 years, and joined Flagstar Bank in 2010. She is a member of the Bank’s Government Banking team that currently serves over 400 Michigan municipalities and school districts, delivering investment, checking and Treasury Management services to the Bank’s public sector clients. She grew up in the Kalamazoo, Michigan area and is a graduate of Western Michigan University. Lisa is active in a number of organizations, including the Michigan Association of County Treasurers, Michigan School Business Officials, Michigan Governmental Finance Officers Association, Michigan Municipal Treasurers Association, Kent, Ottawa and Kalamazoo County Treasurers Associations, and the West Michigan Association for Financial Professionals. She is on the fund raising committee for Holland Hospital’s Culinary Cabaret, and previously served on the board for the West Michigan Association for Financial Professionals. Lisa joined the Michigan Women in Finance board in 2016. Andreea Raetchi is Vice President, Non-Profit and Healthcare Banking and has been with Citizens Bank since 2013. Andreea started her career in banking in 2004 after receiving her BS in Finance from Oakland University in Rochester Hills, MI. Andreea works with clients in the highly specialized healthcare, education and non-profit sectors. Her responsibilities include business development, structuring and negotiating deals and managing a portfolio of existing clients. Andreea also serves on the Board of the Michigan Roundtable for Diversity and Inclusion. Andreea joined the Michigan Women in Finance Board in 2015. Dina Reed joined The Rapid, a public transportation organization, in 2018 and has served in various financial management and leadership roles in both public and private sector organizations, including Wayne County Airport Authority, Starwood Hotels, Northwest Airlines and Walt Disney World. Dina is a member of the Government Finance Officers Association (GFOA) and Inforum Center for Leadership and has served in various leadership roles with the Airports Council International North America (ACI-NA) Finance Committee, and American Association of Airport Executives (AAAE) where she earned her designation as a Certified Member (C.M.). Dina earned her Bachelor’s degree in finance from Eastern Michigan University and her Master’s degree in business from Michigan State University. She is also a graduate of Inforum Center for Leadership’s Executive Leadership Program. Dina joined the Michigan Women in Finance board in 2016. Chris Struwe became Investment Technician for the City of Southfield in May 2017. Prior to joining the City, Chris held the position of Government Banking Relationship Manager with Huntington Bank. Chris has held various board positions with the local county treasurer’s associations, and is a member of the American Business Women’s Association (ABWA), Novi Oaks Charter Chapter. In 2014, Chris was recognized nationally as one of the Top Ten Business Women of ABWA. She holds a Bachelor of Arts in Business Management from Madonna University; and a MBA Essentials Certificate from ABWA-Kansas University School of Business. Chris joined Michigan Women in Finance Board in 2015. Amy Thurston has been with H.J. Umbaugh and Associates since 2015. Prior to working for Umbaugh she worked in corporate accounting and finance in the automotive and defense industries. She assists public school districts throughout the state of Michigan with capital improvement planning, bond issuance, general fund cash flow analysis, and refunding of existing bond issues. She is a registered Municipal Advisor. She received a Bachelor of Arts in Accounting from the Eli Broad College of Business at Michigan State University. Amy joined the Michigan Women in Finance since 2017. Jennifer C. Trowbridge, CFA is the co-founder of RedTree Investment Group, a registered investment advisor formed in 2014 to work exclusively with public entities to help manage and invest their funds. She has nearly 20 years of experience in the investing industry, the vast majority of those years dedicated to Public Funds. Prior to founding RedTree, Jennifer worked at Robert W. Baird and Fifth Third Bank. Jennifer has both her B.S.B.A. in Finance and her M.B.A from Xavier University. She received the Chartered Financial Analyst designation in 2006. Jennifer joined the Board of Michigan Women in Finance in 2016.